Well, troubled life, troubled afterlife. 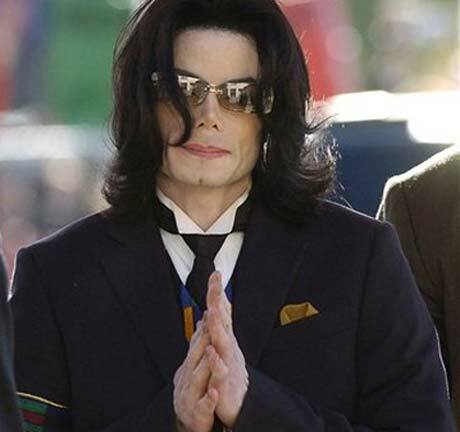 In the convoluted series of events that have plagued the death of Michael Jackson, yet another twist has emerged, one that may have a severe impact on a treasure trove of unreleased Jackson material. Jackson's sister LaToya reportedly has hard drives filled with unheard recordings by the late King of Pop performing with folks like Will.I.Am of the Black Eyed Peas, Ne-Yo and Akon, as well as older unreleased material, says Rolling Stone. According to Reuters, LaToya took the hard drives from the mansion Michael was renting "hours" after he died, and Michael's manager, Frank DiLeo, says "the estate lawyers will send out letters" to get the drives to log the contents. DiLeo adds that Michael left behind at least 100 songs on these hard drives, many from his heyday of superstardom, says Rolling Stone. We have a hunch that regardless of who owns the songs, we're about to see a slew of posthumous releases the likes of which will put even Tupac to shame.